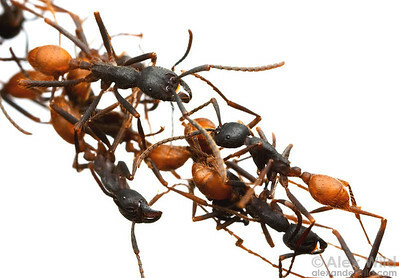 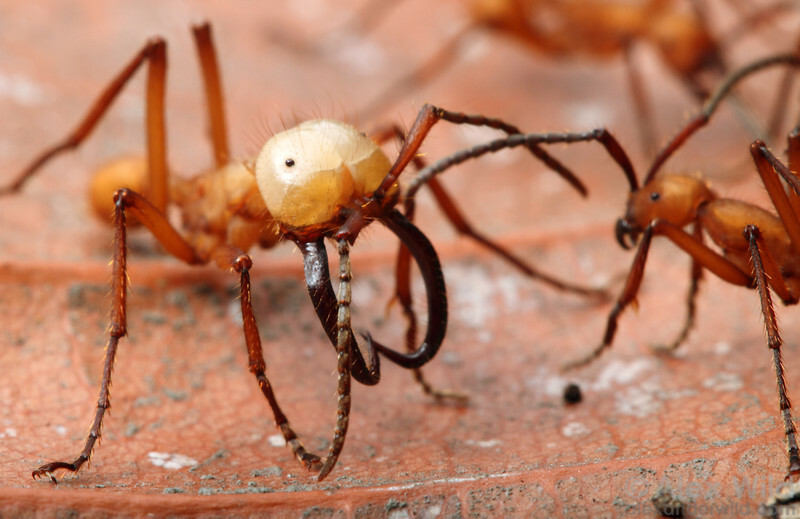 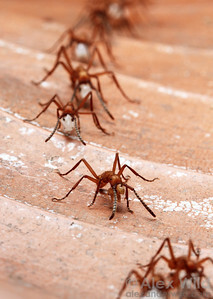 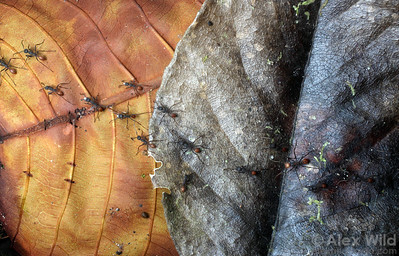 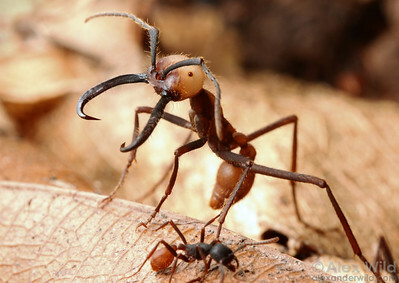 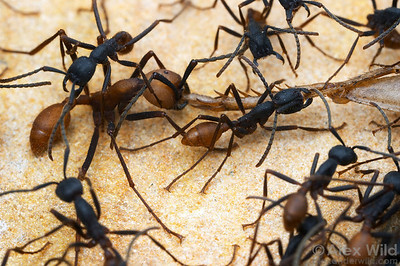 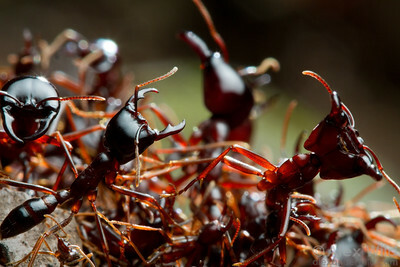 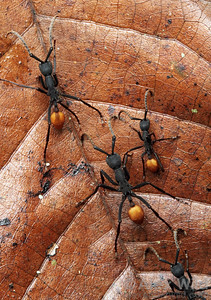 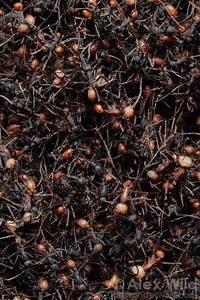 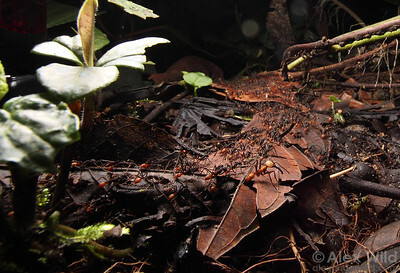 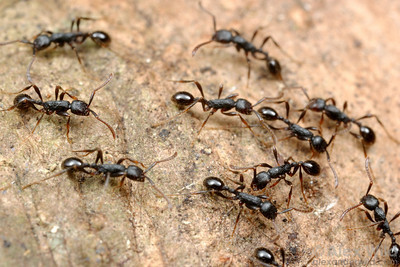 Several lineages of ants in the warmer regions of the world have evolved a lifestyle of nomadic predation. 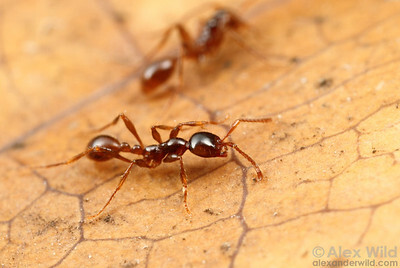 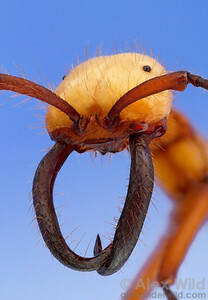 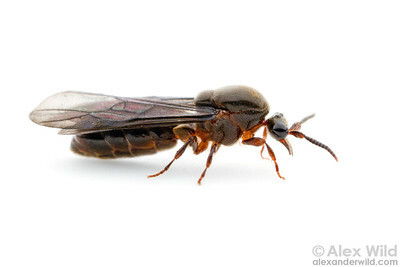 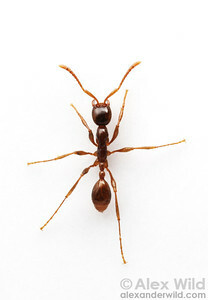 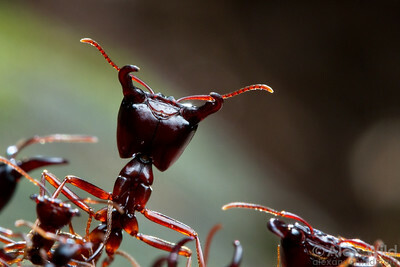 Army ant soldier. 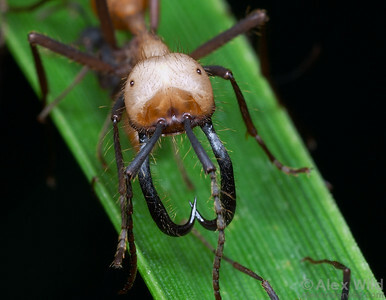 The odd, globular eyes of army ants are the evolutionary result of resuscitating a vestigial organ inherited from blind ancestors.